GCC spec 2010 BMW with Power locks, 18″ wheels and Rear wheel drive. Price reduced! GCC spec 730 from 2013 for AED 76,000 with a 6 cylinder engine. Grey/Silver sedan with brown interior. It has navigation system and sunroof. Automatic BMW 730 with 18 inch wheels, CD player, LED headlights, beige interior, white exterior. Automatic 2018 BMW 750 with 18 inch wheels, parking sensor rear, DVD-player, beige interior, black exterior. GCC spec. Automatic BMW 750 with 18 inch wheels, power locks, air conditioning, beige interior, black exterior. White sedan, tan on the inside with leather seats and heated seats. 20″ wheels. 2018 BMW 760 price AED 439,000, with power seats with memory, AUX audio in, air conditioning. It has red interior and is Blue. BMW 740 Li MKIT - EXCELLENT CONDITION - WARRANTY TILL 2022 - SERVICE CONTRACT UNTIL 2022! White 2018 6 cylinder sedan. Price AED 239,000. Tan interior. It has sunroof and CD player. BMW 740 Li IN SUPERB CONDITION UNDER MAIN DEALER WARRANTY AND SERVICE CONTRACT TILL 2022! 6 cylinder white 2018 sedan. Tan interior. Phone set, 20 inch wheels and parking sensor rear. 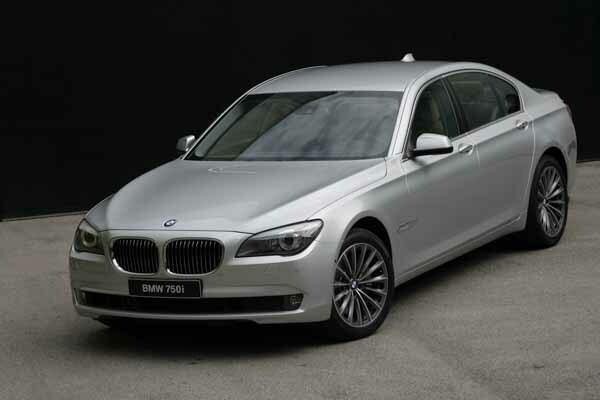 BMW 740 Li WITH 360 CAMERA AND BLIND SPOT UNDER WARRANTY AND SERVICE CONTRACT UNTIL 2022! Automatic GCC spec BMW 740 with 21 inch wheels, leather seats, power seats with memory, tan interior, black exterior. Automatic, 20 inch wheels, navigation system, sunroof, tan interior, white exterior. 2008 BMW with cruise control, rear wheel drive, heated seats. White with beige interior. BMW 760 Li MOTORSPORT - EXECUTIVE SEAT 5 YEAR WARRANTY AND 8 YEAR SERVICE CONTRACT! Reduced price! Black BMW 760 Li MOTORSPORT - EXECUTIVE SEAT 5 YEAR WARRANTY AND 8 YEAR SERVICE CONTRACT! from 2018 with red interior. Opportunity! A 2017 grey/silver BMW 760 Li WITH REAR ENTERTAINMENT V12 600BHP UNDER 5YEARS WARRANTY AND 8YEARS SERVICE CONTRACT now available at a reduced price. 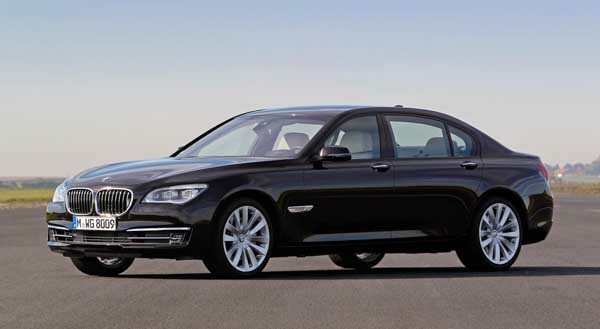 2015 BMW 740, priced at AED 129,000, with features such as navigation system, fog lights, premium paint. It has brown interior and is White. GCC spec. GCC spec automatic, 18 inch wheels, parking assist, parking sensor front, tan interior, black exterior. Reduced price! White BMW 730 Li(REF NO.12956) from 2018 with beige interior. 2018 BMW 760 grey/silver sedan, beige on the inside with power windows and tuner/radio. 18″ wheels. Reduced price! White BMW 740 Li from 2010 with tan interior. 2019 BMW 730 price AED 273,000, with rear camera, parking assist, sunroof. It has tan interior and is Blue. GCC spec 2019 BMW 730, 4 cylinders, black sedan with beige interior. It comes with LED headlights and power windows. 6 cylinder white 2015 sedan. Brown interior. Tuner/radio, 19 inch wheels and rear wheel drive. Automatic 2012 BMW 750 price AED 125,000, with 20 inch wheels, CD player, airbags (front and side), beige interior, gold exterior. GCC spec. 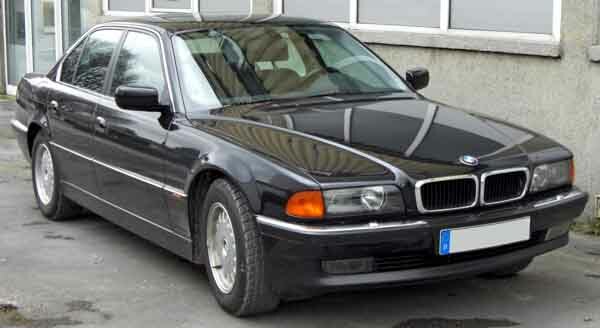 BMW 750 with many features, including sunroof, tuner/radio, power seats. Blue with black interior. Automatic, 20 inch wheels, climate control, airbags (front and side), beige interior, red exterior. Paul - Got my 750 Li second hand a few weeks ago, and so far it’s been a brilliant drive. Interior options are incredible as is the power from the V8 underneath the bonnet. Cons: Price is high when new. 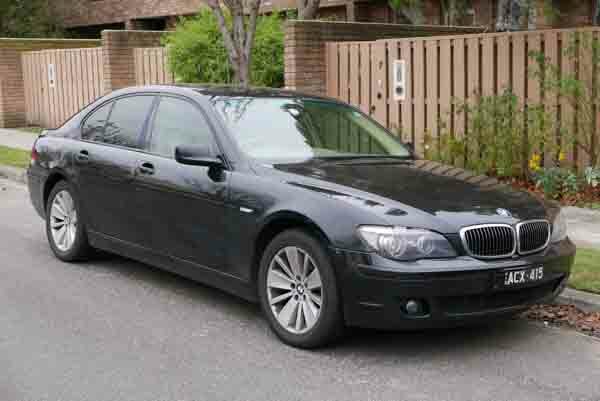 Adnan - I imported my pre owned BMW 745 i last year from America, still looks good even though it’s a 2005 model. Handles perfect for a large sedan has lots of features and power. Pros: Handling, engine and options. Cons: Can get thirsty for petrol quickly. Faisal - 735 i is a good car for UAE, comfortable interior, many options, and spacious interior. Engine can be slow and has to be often refilled. Pros: Comfortable, good handling and sharp styling. Cons: Not good on fuel. No matter what 7 series cars you purchase, whether it’s the 750, 740 or 730, interior options are impeccable. They have everything and anything from leather seats to a phone set there’s no reason not to buy one. With its wide range of vehicles pre owned BMW 7 series in Dubai, UAE comes in many flavours. Inline 6 (not V6), V8 or a V12. Latest models even come with an inline 4-cylinder motor. The market is flooded with 7 series models, import or GCC it’s easy to find one. Long wheelbase versions are available. If you find a 740 Li or 750 Li, then you know it’s got an extended wheelbase. Comfort is a must when travelling; BMW 7 series offers just that for all passengers and even offers massaging features in higher trims. Since 1977, these German sedans are the flagship sedans of the BMW brand. In top trim they were powerful. However, Alpina thought that Bimmers could be slightly more powerful even producing one with over 1,000 hp! With numerous awards over the years and specifications to rival the Mercedes-Benz S-Class, Audi A8 and the Lexus LS series. Although the cars have been floating around since the late 70’s we’ll date the 7-series back to midway through the late 90’s. Entering its third generation in the late 90’s, the sedans popularity grew over the years not just on home soil but around the world including Japan and America. Leather seats were stand along with power options for the front seats. Sunroof, cruise control, phone set and parking sensors on later models were offered as was DVD navigation and cooled front seats. These years offered two engine options, a 4.0 litre V8 and a 6.0-litre V12. Both hooked up to a 5-speed automatic transmission (a manual version was offered), the V8’s displacement was upgraded to 4.4-litres during this time. During this time, all the 730, 740, 750 and 760 models were produced with an extended wheelbase added to the 750 models as an optional extra and is standard on 760 models. All models came standard with power leather seats, climate control, trip computer, xenon headlights and five seats. Optional extras included navigation, Bluetooth, phone set, memory options for the front seats, sunroof, ventilated seats, parking sensors and a reverse camera. The iDrive computer system was upgraded for the first time since 2002. Four engine choices were available during this time five if you count the diesel options all of which were mated to a 6-speed manual automatic. 3.0-litre Inline 6, 4.0-litre and 4.4-litre V8 or a 6.0-litre V12 is mounted to the drivetrain and powers the rear wheels. Rolling into its fifth generation, the 7-series sedan received a significant refresh that was welcomed by all. GCC cars are mostly available with a long-wheel base, those wanting a standard model will have to buy an export vehicle. Standard interior options stay similar with Bluetooth being added and the phone set being dropped for obvious reasons, 18-inch rims and a sunroof are included too. Enhanced leather upholstery and individual trim pieces were added to complete the look. A multitude of optional extra’s was offered in both entertainment and safety categories. Navigation, multiple cameras, night vision, 8 GB internal storage device, pedestrian recognition software, heads-up display, rear entertainment package, 10.2-inch media screen, blind spot warning system and the list goes on for the optional extras. Four engines were available during this year with the diesel and 4.0-litre V8 were the two engines removed as was the 6-speed manual, while a new 3.0-litre turbocharged inline-6 motor was added to power the 740 i. The other engines were retained as was the 6-speed auto. All the motors were retuned to provide better fuel economy. 2013 saw the 7 series receive a facelift for a more friendly look, and it worked as customers continued to buy the sedans. Once again GCC dealers stuck to selling Li models with all the badges returning for another two years. Standard and extra options are identical to the previous years as were the engines and transmissions. Each engine was finely tuned once again to squeeze out more power and better fuel economy. 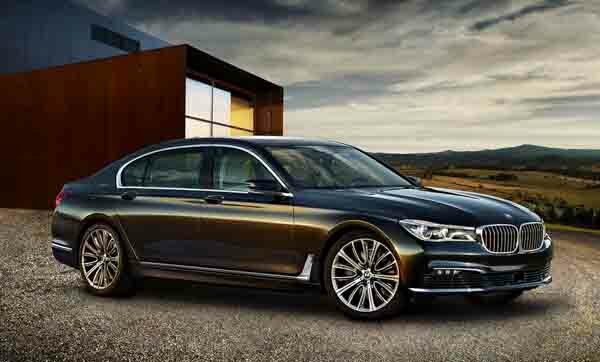 After three years, the German manufacturer decided to enhance virtually everything about the 7 series in 2016. With a brilliant and stylish exterior, Dubai residents are offered both long and short wheelbase models. The interior was not left out of the enhancement department with a multitude of once optional features now becoming standard with a whole new range of optional extras; active cruise control, gesture control for iDrive, lane departure warning, multiple cameras, person warning and much more. Autonomous drive mode is also on offer and may be very limited in terms, or when you can use it, however, it can park itself and sort of drive itself once enabled. This may not be available in all regions. An Executive Lounge package is offered on long-wheel base models that added rear foldaway tables, rear tablet, entertainment package, cooled and massaging rear seats. Alternatively, a lighter version of this package is available dubbed as Individual. M Sport packages are available and add the letter M in various locations, alters the suspension slightly and adds small bits to the exterior and interior. If you want a higher output M Sport package, the M760Li xDrive joins the lineup in 2016. Powered by a 6.75-litre V12 petrol engine, the same one found in Rolls-Royce models powered all four wheels and generates 600 horsepower. Interior specs consist of the optional extras of other models in the lineup. For 2016, one of the inline-6 motors were dropped from the line-up. 6-speed autos were dropped in favour for an 8-speed one instead. Both engines are tuned for better outputs and fuel economy. A 2.0-litre 4-cylinder motor is present as was a plug-in hybrid known as the 740e; the latter takes over from the ActiveHybrid models from the previous generations.